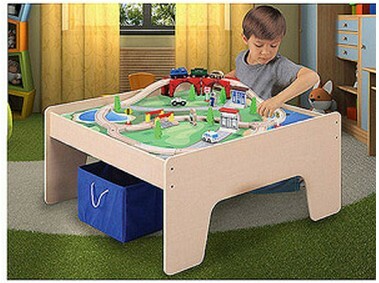 The Wooden Activity Table with 45-Piece Train Set & Storage Bin is currently $59.97 at Walmart.com. If you are looking for a train table this seems to be a less expensive option available. Adjustable tracks – for open ended play. Great for imagination!